Why is it that we resort to talking about pictures at such crucial moments as these? Pictures are synonymous with total, intuitive, immediate understanding. According to scientists at MIT, the human brain can process entire images that the eye sees in as little as 13 milliseconds. The sluggish pace of reading or hearing words is simply no match for the electric power of our ability to understand images. We process information faster as images than we do as words. It’s a fact. So when we talk about seeing the ‘big picture’, we should perhaps consider this phrase literally. A picture can comprise so much at once. It is non-linear. It has a non-sequential hierarchy. It can be taken in all at once, or individual details can be focused on – always with the context of its place in the larger whole. Essentially, it is holistic. It is analogous to the kind of complete view that is sought when a leader seeks to elevate understanding beyond tactical awareness – and especially when there is a need to re-engage with what we do at a new, fundamental level. Pictures are the big picture. So when it comes to communicating a complicated idea like a business strategy… why is it that so few businesses consider the idea of communicating this level of complexity via images? The way we visually communicate our clients’ six-chapter narratives has become a mode of expression and storytelling in and of itself. But why is this form of communication, in visual terms, so effective? What is it about this seemingly simple format that delivers this ‘big picture’ understanding so intravenously, so powerfully, so lastingly? Essentially, the advantages of visual storytelling can be understood through how audiences use a visual story to answer five key questions – and therefore how a visual story can preemptively respond to these needs. I mentioned earlier that the marvellous human brain processes images in as little as 13 milliseconds. What if you could use those 13 milliseconds to convey the core idea of your organisation’s story? What if you could embed real understanding at that deep, intuitive level? When we work with our clients to come up with the right visual story, we often talk about the core message of a story. In other words, what is the essence of this story, the heart of the matter – and what do we want people to think, feel and do as a result of understanding this? It’s the tip of the pyramid – the clear understanding of what needs to happen, with all the reasoning, detail and context surrounding it. By presenting a simple and complete visual story that encompasses the past, present and future of a business, we can effectively present this ‘big picture’. By working with brand and other key stakeholders, we can ensure that the resulting visual story feels both familiar (i.e. this belongs to us) and new (i.e. this isn’t the ‘same-old, same-old’). It’s daunting to think that it could be so simple… but this is both the challenge and the prize of painting the big picture. So, we’re 13 milliseconds in. Your audience have pretty much grasped the arc of the journey that the business is on. What’s going on in everyone’s brains now? The likelihood is that people are trying to figure out where they fit into this story. The hero’s journey is a well-trodden path when it comes to storytelling – there’s no one reason for this, but perhaps one of the more relevant reasons for its use in business storytelling is that it covers so many different emotional states. At the beginning, we understand who a hero is, what they represent and what they have to be proud of. Then, we learn about their big challenge, the threat that it poses to their identity, and the negative emotions that this causes. Next, we are given a reason to believe – we understand how the problem can be solved, and what it will take from the hero to achieve this. We watch as they follow the path to the desired outcome, see how they deal with the final obstacles in their path – and, vitally, understand what it truly means to them when they make it to the end. Now, all of this makes for a great story. But the big thing is this: all of your people will be on different points on that journey, which in many ways is simply a different kind of change model. So a visual story gives people the opportunity to find and recognise themselves against a positive journey of change, see the steps that are needed to move beyond their current state, and how good it will be to get there. I’m not sure how many more milliseconds this part needs. But if you want people to truly feel part of a journey, and that there is a place for everyone, no matter where they are on the change cycle – then it’s definitely worth it. “Pareidolia”. Another of those wonderful words that you may not know, but have certainly experienced. 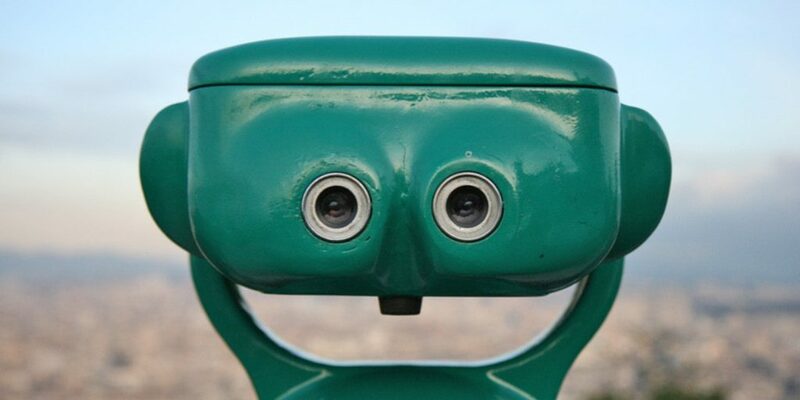 Pareidolia is essentially the human propensity to interpret images and find something that is familiar to us in that image – and very often, that is ourselves! We see ourselves in everything – and this is one of the more important yet counterintuitive parts of improving leadership through better storytelling. As any good storyteller knows, it’s all about the audience and how they put themselves in the story you tell – how the empathise and relate to it. This understanding is very much analogous to the business leader – you might love the plans that you’re setting out for a business, but it won’t mean much unless other people do too. Visual stories especially allow us to put ourselves in the shoes of the hero before us, to walk the path that is set out, and to feel that. This represents a level of envisioning, anticipation and association is just not feasible in a rationally communicated strategy. The fact that this can be communicated by a static image, rather than an actual person, represents a greater opportunity for real association. If we’re looking at another person talking, we see another person and the immediate goal is to understand them. If we look at a visual story, our immediate goal is to understand how I would feel if I was in that situation. This is the kind of empathic experience that delivers real ‘aha’ moments. Whether you’re talking about the Bayeux Tapestry or comic books, ‘closure’ is one of the more important ideas to grasp. Essentially, closure is the idea that the reader will be able to jump from one static image to another and ‘close’ the gap. To mentally join the dots between those two points, and therefore complete the journey themselves. In terms of business storytelling, this idea is absolutely crucial – if we’re depicting the journey of a business that goes from good to great, the question is very simple: what does each of us have to do to get from here to there? In visual storytelling, the spaces in between are every bit as important as the images themselves. This is another way in which storytelling augments strategy. It’s important for a leadership team to understand the strategy of the business, and to own this – but in many ways, their ownership of this is derived from the fact that they came up with it. If the strategy had simply been given to them, it’s hard to imagine that they would be similarly engaged. The same is entirely true for an employee population – and therefore by giving employees the chance to ‘join the dots’ for themselves in the visual story, you give the opportunity for people to make the story their own, and begin to proactively imagine what needs to happen to get from A to B. Ultimately, a visual story is a manifestation of an emotional journey. Our responsibility as storytellers is to first understand the emotional journey that an organisation is on, and then to tell a story that is meaningful with respect to that journey. We may be visualising the idea that ‘things will get better if we do x’. We may be visualising the idea that ‘if we do x, then we will really be the very best we can be’. Whatever the basic notion is, we need to highlight the bright spots in this story and the desired destination – and therefore, through storytelling, embody the part of the big picture that speaks to the rewards and benefits of following this journey through. Whether it’s a renewed approach to customer experience, or the need for everyone to be their best through a new M&A, it’s this shortcut to the ‘why’ that makes visual storytelling such a powerful asset for leaders. It’s difficult to speak simultaneously to the crux of what needs to happen AND the benefits of following this action through – but a visual story can actually do this all at once.